Matt McGee live-blogged the SMX Advanced keynote with Google’s Gary Illyes, but I wanted to summarize the points made in that keynote that I felt were important, because there were many. Gary Illyes, after a lot of questioning from Danny Sullivan, explained that you cannot optimize or do SEO for RankBrain. He added there are no “scores” for RankBrain — although he did say he will continue saying what Google has said in the past, that RankBrain is a ranking factor, even though it has no score like page speed, Panda, Penguin and other ranking signals may have. Panda, Google’s content quality algorithm, is still a continuous update. But that update still happens very slowly and takes “months” to fully roll out each cycle. Google continues to crawl the web and assign a score to the site, and it takes months for that score to roll out to the index. So although Panda is continuous, it is not real-time, and it is slow. 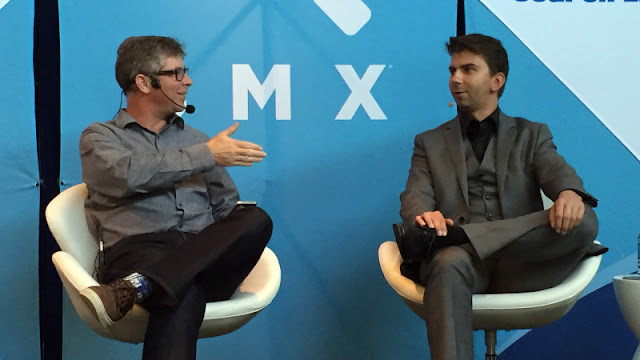 Danny Sullivan asked Gary Illyes to tell SEOs something they should prepare for in the upcoming year or so. Gary Illyes gave the audience two things. He said that AMP is going to be big, and SEOs and webmasters should think now about getting ready for AMP. He also said that assistants, bots and chatbots are progressing and developing, and webmasters should pay attention to that area. One has to assume he was referring to not just the Google Assistant news from I/O, but also around all the usage of chatbots and various bots being used these days. Gary Illyes said Google is still working on a mobile-only index. The mobile-only index may be used for smartphone searches and be separate from the normal index. Currently, Google’s search results for desktop and mobile use the same index and almost all of the same ranking signals. Google is looking to separate some of them out. Google has told us in the past that they are experimenting with this, and Google is clearly still working on a mobile-only index. It looks like after three years since Google promised more data and longer history of data in the Google Search Console, it may be coming. Gary said that the team is working on it and that the lead of the Google Search Console team was very “direct” with his team about making sure to give webmasters more history with their search analytics and other data in the Google Search Console. When this will happen is still unclear, but the message Gary delivered here was positive. Gary Illyes said that 34 percent of the Google index is now HTTPS — which is a very big growth trend for HTTPS. He also strongly recommended that webmasters consider migrating their websites from HTTP to HTTPS sooner, rather than later. Those are my key takeaways from last night’s AMA with Google’s Gary Illyes.